Faster than a speeding bullet. More powerful than a locomotive. Since 1978, a number of filmmakers have taken up the noble pursuit of chronicling perhaps the most quintessentially American of all superheroes. Superman is an ideal that’s become even more essential in the modern, cynical world, one where the idea of an infallible hero who innately understands the difference between absolute right and absolute wrong seemingly has no place. As Supes takes the battle to an aging, grizzled Bruce Wayne this weekend in over 4,100 US theaters, the CoS film staff have been looking back at the Batman and Superman film franchises. In Superman’s case, a half-dozen films have offered visions of the hero that run the gauntlet from idealistic classics to strange ’80s exploitation cinema to a grimmer vision of Superman unfolding in our own jaded world. But we’re not just looking back. We’re looking up to the skies, to a vision of endless possibilities that reflects our own wildest pipedreams for a better tomorrow. We’re looking for Superman, from his worst portrayals to his very best. That? That’s an iconic scene. It’s so memorable that despite the fact that it’s in a movie that can be used as a qualifier — as in, “that’s, like, Superman III levels of bad” — it was recently paid tribute to on an episode of CBS’ mostly delightful Supergirl. There’s adorable Melissa Benoist, sitting at a bar. Watch her flick those peanuts into the liquor bottles and make them explode. Watch people run. Watch them freak out. Why? Because evil Supergirl might be funny, but she’s also scary as hell. And there’s the problem with Superman III: It’s such a mess that it’s nearly impossible to give even the faintest damn about anything that happens. Gone is the thoughtful, complex relationship with Lois Lane. Gone are any traces of a Superman who feels things deeply. Gone are action sequences designed to do anything but get the adrenaline going, and gone is the lovely sense of amazement, so palpable in the earlier films, that this alien is a miraculous creature, a wonder of the many worlds. Remove the non-human’s undeniable humanity, and he becomes terrifying, but Superman III isn’t interested in digging into real stuff. There’s a good idea in there somewhere, but no one involved seemed very interested in trying to make that idea work. It isn’t interested in plot, either, or coherent action sequences. Strip all that away, and what’s left is a mix of paint-by-numbers superhero nonsense and a bizarre reach for broad comedy that’s both out of place and, more importantly, not very funny. So yes, Richard Pryor’s in this thing, and yes, it’s pretty much impossible for Richard Pryor to not be funny when he sets his mind to it. Legend has it that Pryor mentioned offhand that he’d like to be in a Superman movie on a talk show, without really meaning it, and some studio bigwig took that as his cue. 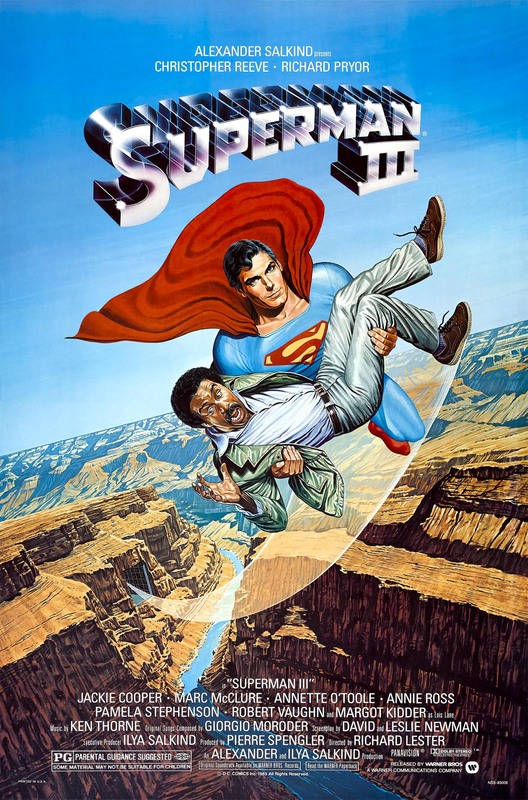 True or not, it makes sense — Superman III feels like nothing so much as a movie pitched as “Superman, but with Richard Pryor, and we’ll figure the rest out later.” They never did, and this tired, uneven, nonsensical turd is what we got. It’s not boring; I’ll give it that. It’s got camp value. It’s got Superman taking shots at the bar in his tights. But what it doesn’t have is a story that matters, and when you’re talking about one of the most vibrant American mythologies, that’s a big, big problem. 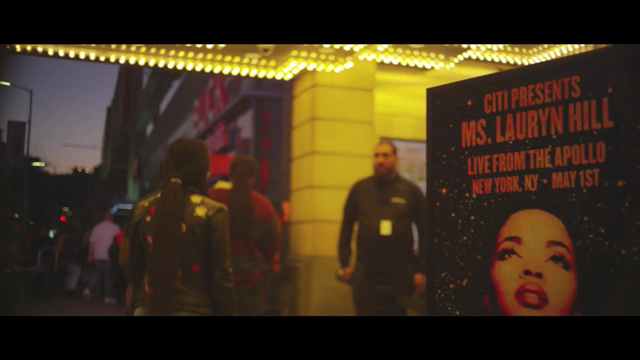 Watch it again, if you must. But don’t think too hard. Thought is this movie’s tar-laced Kryptonite.